Obituary for Kate Higginbotham | Kostanski Funeral Home, Inc.
Kate Higginbotham, hockey-mom, dog lover, hot air balloonist and storyteller extraordinaire passed away peacefully on Friday, September 14, 2018 at the age of 74. A long-time resident of Colrain and Greenfield, Massachusetts, Kate was born to parents, William and Martha Gully on February 18, 1944, and was the eldest of five siblings. Kate married John Fanning of Shrewsbury, MA in 1960 and they had 3 children and numerous foster children. Kate transformed herself many times over the years, both personally and professionally. Born Martha Elizabeth Gully, she chose her own name upon moving with life-long friends, Merry Lein and Ann Cahill to Franklin County in 1978. She was a parent liaison at Head Start, housekeeper in Historic Deerfield, clerk, and a realtor at both the Ruggeri and Pratt Real Estate Agencies. 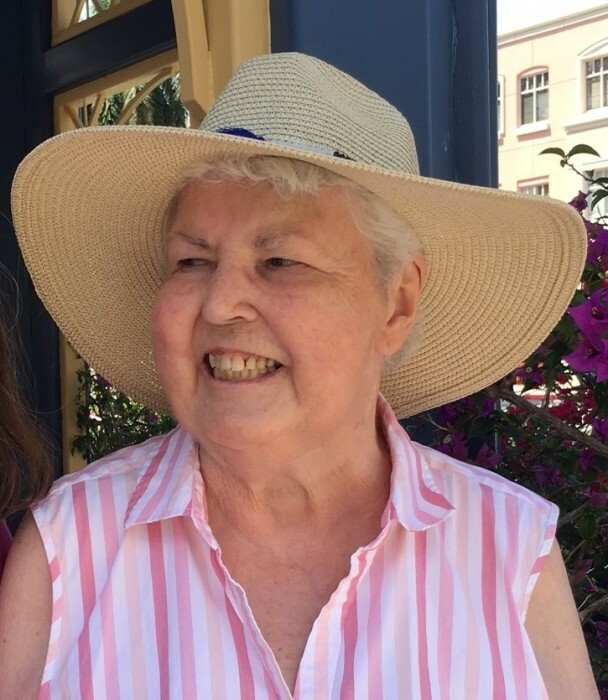 Perhaps her most fulfilling work was as a feature writer at the West County News, where she had a special knack for writing interesting stories about her neighbors, always shining a light on their humanity. Kate really found her “soul” place when she moved to the banks of the North River in Colrain, MA. She loved the “West County,” and was very active in the community. She was most proud of her efforts to establish the long-standing, local celebration of International Womyns Day, encouraging her friends and neighbors to be socially and politically active. Kate lived briefly in Prescott, Arizona, another place she was passionate about, finding great joy in its natural beauty. In 2010, she returned to Greenfield, where she worked at the Shelburne Falls Senior Center, re-inventing herself once again. This was a very happy time for Kate as she reconnected with her Greenfield family over Sunday dinners. She spent the last several years of her life enjoying the company of her many friends and family, and was especially cheered by her own grandchildren and those of her dear friends. Kate is survived by her son and daughter-in-law, Richard and Ginger Fanning of Milton, MA, daughter, Stephanie George and her husband, Joseph of Greenfield, and daughter, Erin Fanning and husband, Fulgencio Lazo of Seattle, WA. Kate also leaves her four younger siblings, Kevin Gully of Worcester, MA, Christine Nicoletta of Concord, NH, Anthony Gully of Quincy, MA and Andrew Gully of Ipswich, MA. Kate leaves four grandchildren, Joey George and fiancée Kaytlin David of Turners Falls, MA, Matias and Maya Lazo-Fanning of Seattle, WA and Jack Ryan Fanning of Milton, MA. Kate had many nieces and nephews, and was blessed with many, many loving friends. Kate will be cremated and her ashes scattered over the North River in Colrain, as was her wish. A memorial service will be held in her honor at 1PM on Saturday, September 22 at the Shelburne Falls Senior Center, 7 Main St, Shelburne Falls. Her children invite you to join them for a luncheon to share remembrances and celebrate her life. The Shelburne village, which she adored, is a fitting place for her memorial. We invite you to join us afterward for a walk across the Bridge of Flowers and past the Glacial Potholes, something Kate would have loved! In lieu of flowers, donations in Kate’s honor may be made to LifePath, 101 Munson St, Suite 201, Greenfield, MA., 01301 a non-profit organization dedicated to helping seniors age in place and live dignified, independent lives.